The additives in your food are put there to improve or preserve nutrient value, keep food from spoiling, or control acidity or alkalinity of foods. Additives that provide color or flavor or maintain a product's consistency are used to make your food more appealing, reports The New York Times. The U.S. Food and Drug Administration has a list of additives that are generally recognized as safe, or GRAS. The GRAS list has more than 700 items, including sweeteners, sulfites, vinegar and MSG. Some food additives have known side effects. Aspartame is used as a low-calorie sweetener in items like gum, drinks, pudding and yogurt. If you are allergic to aspartame, it can cause migraine headaches, according to a guide compiled by CNN. Saccharin is a sweetener often used in carbonated drinks, jellies, canned fruits and fruit juice beverages. In laboratory animals, it is known to cause cancer, according to CNN. Monosodium Glutamate, or MSG, is used to enhance a food’s flavor. It can be found in everything from frozen foods to dressings to canned tuna and vegetables. Some folks suffer side effects when they eat too much MSG, according to CNN. This is dubbed “Chinese restaurant syndrome," due to the fact that MSG commonly is found in foods at such restaurants. Symptoms can include general weakness, flushing, heart palpitations or numbness along the back of your neck, according to Dr. Andrew Weil, Arizona Center for Integrative Medicine founder. Also, if you’re on a low-sodium diet, you need to avoid MSG along with another additive, sodium bicarbonate, because both are both significant sources of sodium, advises CNN. Butylated hydroxyanisole, or BHA, is used as a preservative to keep foods from going rancid. It’s also a defoaming agent used with yeast. Butylated hydroxytoluene, or BHT, is a preservative that prevents food from changing color, flavor or odor. In large doses, studies indicate that BHA and BHT may cause tumors in animals. Results remain inconclusive, however, advises CNN. BHA is usually found in foods that are high in oils and fats such as butter. It’s also found in snack foods, baked goods, beer, cereals, meats and dehydrated potatoes. BHT is found in foods that are high in oils and fats, shortening and cereals. Potassium bisulfate, potassium metabisulfite, sodium sulfite and sulfur dioxide are types of sulfites that are used to prevent discoloration in fruit and to halt bacterial growth in wine, according to CNN. The FDA does not allow their use on raw fruits or vegetables. Some people suffer allergic reactions to sulfites. People who have asthma also can have reactions because of the sulfur dioxide in them, which an asthmatic inhales as he eats sulfited food. Sulfur dioxide irritates his lungs and may cause severe bronchospasm, or a constriction of his lungs, according to the University of Maryland Medical Center. Symptoms also may include coughing, wheezing, and shortness of breath, according to the European Food Information Council. 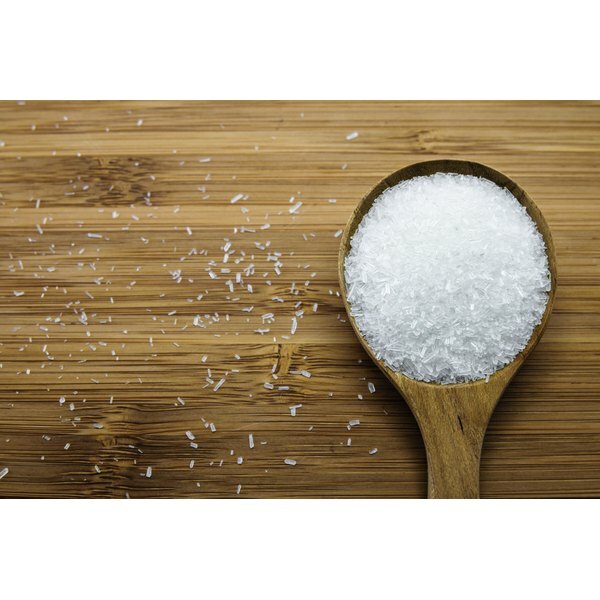 Dr. Weil: How Safe is MSG?